We provide many types of residential home inspections. # 1 recommended Multi-Unit, Apartment, and Commercial Real Estate Inspection Company in Bakersfield, Ca. Real reviews from our satisfied customers! 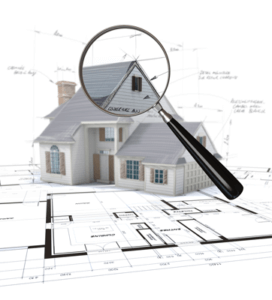 A Certified Real Estate Home Inspection Bakersfield, Ca. A Certified and Educated inspector gives you a peace of mind. Using Beasley Home Inspection with the excellent quality we provide Helps protect your investment. A California Real Estate Certified Professional Inspection by Beasley Home Inspection is an important third-party visual inspection of the physical structure, electrical, plumbing, heating/Cooling,air-conditioning, roofing, Attic/Insulation, interior and exterior. Upon completion you will receive an easy to read and understand narrative report detailing the condition of the Building with digital photos. Service Area: Arvin, Bakersfield, Delano, Hanford, Lamont, Taft, Tulare, Visalia, Wasco. Raymond was quick in response and very professional with his service. He was able to provide me with a detailed inspection report within just a few days. I was on-site while he performed his inspections of my 4plex. His professionalism and respect with my tenants was extremely appreciated. Would recommend Beasley Home Inspection to anyone based on my experience with them.